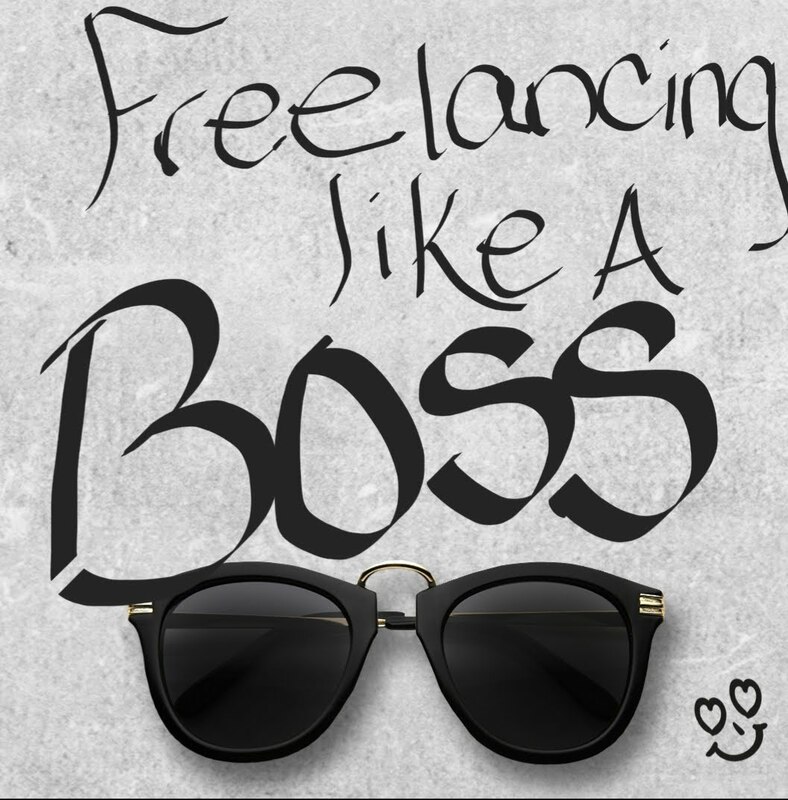 I'm New to the Freelancer World, And I LOVE It! In early April 2018 the job that I worked for 8 years ended. It was a government contract that had been possessed by at least 4 different companies through my time on the contract. When I first got the job back in Spring 2010, it was my first ever employment with a government contractor. I told friends about the job and had been warned: "The jobs are usually good, but once the contract ends, you're left looking for something else." (sad face) Basically, I pretty much expected that it was more so a temp position only good for a couple years. Once the first few years passed and companies had merged or were acquired by other companies and offices just changed location, and every few years the company I was employed with won the contract once again.. I gave no thought to "temporary". I'd settled into the monotonous work life that I'd created for myself (due to some unwise, hasty decisions straight out of college). And although it wasn't my dream position, it was comfortable and familiar and best of all, didn't require much, really, but my time. Eight years ago, I didn't think much of time. Everyone has to work, right? Forty hours a week is the usual. 9-5. But, as my great Godmother, Miss Dolly Parton reminded us in her song, We work hard to make some man richer. (It's something like that. I never professed to be the lyrics queen.) And when you think of it in that context, it can surely drive you crazy! A time came when I did begin to think, not so much that I am making someone richer while I toil hard on the front line... I had that thought when I was a college kid working retail. Getting mere pennies to deal with rude customers and clean up behind them after they leave tons of clothes in the fitting room, all off the hanger, of course, and meanwhile I couldn't even afford anything out of the store that I worked in! Talk about anger! But, no. This time, with this job, I began to beat myself up about the lack of challenge the position presented. I really began to think, "You're too smart for this. ", maybe about 5 years in. On my team I was the only one with a Bachelor's degree, which obviously, wasn't even needed for the position. But, I'd squandered my post undergrad years worried more about saving money on a commute (and maybe fear of working alongside people that I'd probably feel were smarter than me-- but that's for a psychiatrist--another time..) and had no desire to begin an entry level position in the field of Biology by the time that I had begun to feel like jumping into any old field for pay and ease was a stupid idea. So, for years, I dreaded Monday through Friday, 9-5, but I NEEDED it. And honestly, it wasn't the job. It was me. The job was easy! Very 'laxed position. For the last 6 years of it I worked from home. Out of the 7 hours that I was expected to work, (excluding lunch and breaks), majority of the year I may work a solid 2 hours a day. I had to remain available the remainder of the work hours, but if there was nothing that needed to be done, there was just nothing that needed to be done, you know. But I wanted more. I wanted to be on my own time, exclusively. I didn't want to "punch the clock" so to speak or have regular, preset hours every damn day! What's that saying, "Be careful what you wish for."? Well, since we lost the contract, I've gotten my wish. Along with that wish comes: no health benefits (Thank God for Obama Care!) and lesser pay, but I get to do something I'm totally into: (fashion) styling and I create my own schedule! Every. Day! Freelancing is the life! Really. I'd encourage anyone that has a passion or a talent to freelance, if possible. Even if only as a way to make additional money on the side. It's a great release to share your talent and knowledge with others, and to be monetarily compensated for it definitely doesn't hurt.